Sorry, no review of Bust-A-Move DS yet. 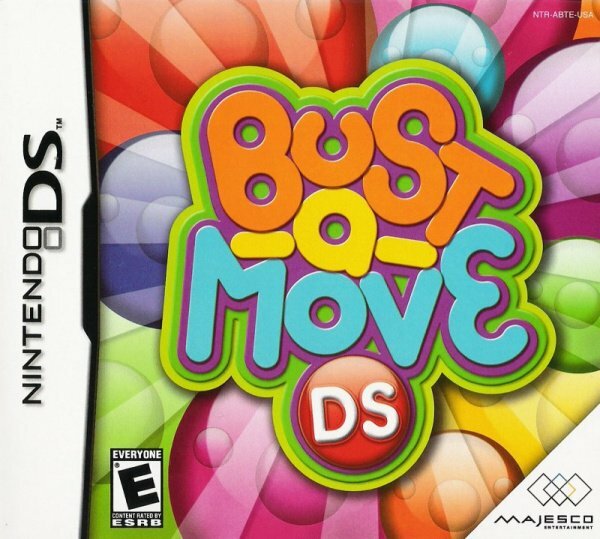 Bust-a-Move DS brings all of the bubble bursting, puzzle fun onto the Nintendo DS. This time Bub and Bob return to center stage as they fling bubbles from the bottom screen to the top in an attempt to match 3 bubbles causing them to pop. You have to be fast because with each second you waste deciding your next move, the rows of bubbles get lower and lower. 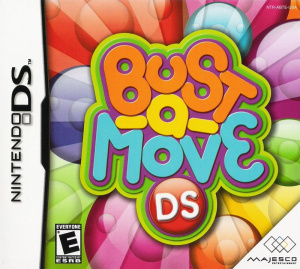 With a multiplayer mode allowing 5 people to play via the Nintendo DS' wireless link, this Bust-a-Move will prove to be the ultimate battle party game. Nothing too special from what I remember. You can play games like this on almost any flash-game collection site. Decent, but not very memorable.